BEIJING -- Pang Da Automobile Trade Co. board secretary Wang Yin said the China car dealer hasn't changed its plan to buy a stake in Swedish Automobile NV, the owner of Saab Automobile. "There's no change to our previous plan," said Wang in a phone interview. "Saab is having temporary financial difficulties and the problem isn't fundamental. Unions at Saab have threatened to start a legal process that could end in bankruptcy for the Swedish iconic brand after it said Thursday it is unable to pay wages to its workers. 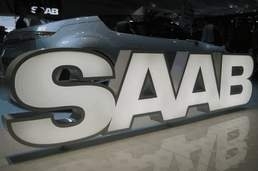 Saab says it cannot pay its employees because it had not yet obtained necessary short-term funding. Swedish Automobile NV, formerly known as Spyker Cars, and Saab are still in discussions with various parties to obtain short-term funding, including the potential proceeds from a sale and lease-back of Saab's real estate, the company said. Swedish Automobile this month agreed on a rescue package for Saab from two Chinese car companies, Zhejiang Youngman Lotus Automobile Co. and Pang Da that it says would solve longer-term financing problems if approved by authorities in China and Europe. Saab has been forced to halt production at Trollhaetten. Saab first halted production in April amid a payment dispute with suppliers. It restarted assembly May 27 after getting a cash advance from Pang Da, only to put the brakes on manufacturing again on June 8.